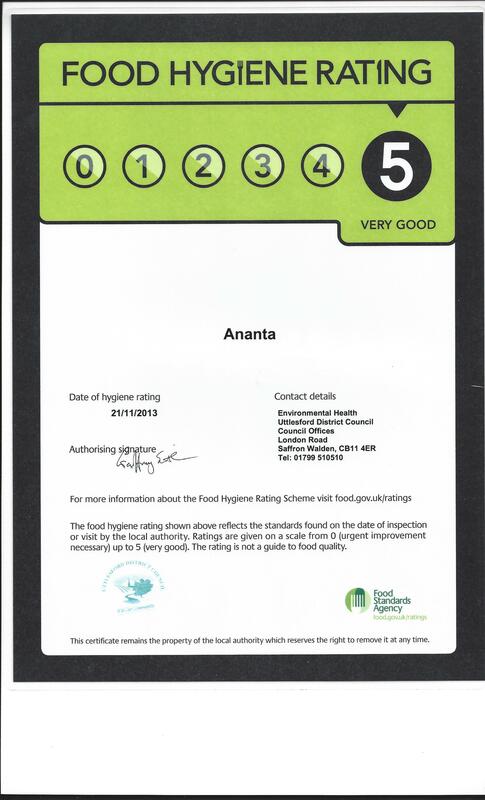 Ananta Thai Food Pub is housed in the picturesque Coach and Horses pub, in the quiet village of Wicken Bonhunt, near Saffron Walden, Essex. Inside mouth-watering, fragrant smells and eclectic wooden Thai carvings mix beautifully with the charming interior of the rural thatched building. 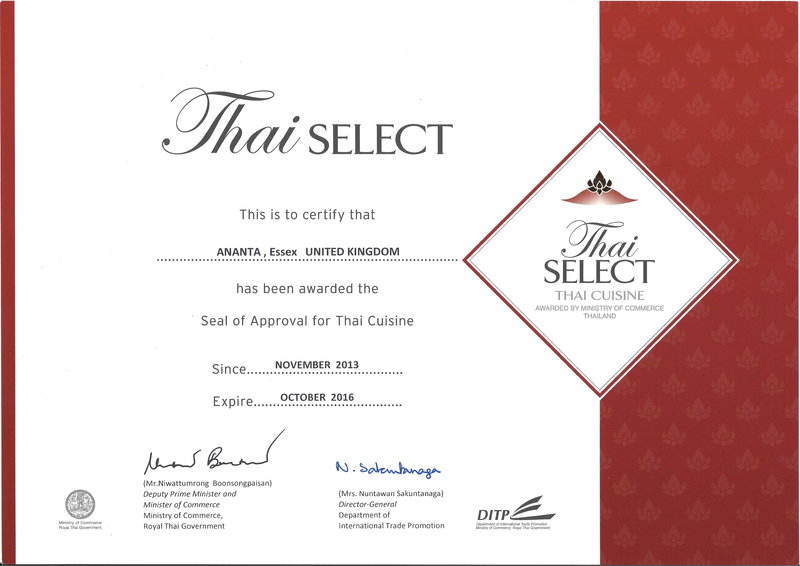 Owners, Sergio and Ananta have created a welcoming fusion of cultures in which to enjoy authentic Thai dining in a cosy environment. 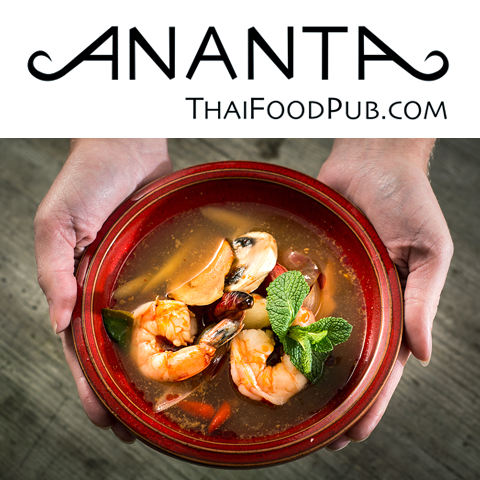 Originally from Bangkok, Ananta was taught to cook by her father who had learnt from his Grandmother, a cook in the Siam Royal household. Ananta uses combinations of garlic, ginger, lemongrass, chillies, kaffir lime, galangal , fish sauce and coconut milk in her recipes to create the five fundamental flavours present in Thai cooking; spicy, sour, sweet, salty and bitter. The result is a delicious and robust taste with delicate undertones and lots of personality, all freshly cooked to order. Real ale is available and there is an extensive wine menu. The pub is child-friendly with a childrens’ menu and there is a take away service available although Friday and Saturday we advise to order in advance to reduce the waiting time. We limit the take-aways because we cook them freshly to order and our cooking capacity is limited.